Offset's new album will be released Feb. 22. Offset's debut solo album is arriving in less than two weeks. The promo concludes with the album's release date: Feb. 22. 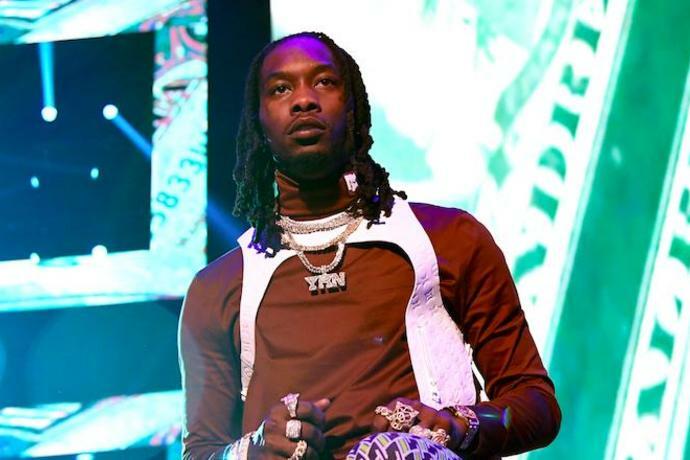 Fans have been waiting on Offset's solo album since late 2018. It was originally scheduled to drop on Dec. 14, but was pushed back following his split with Cardi. The rapper has remained relatively tight-lipped about the project over the last several months, but he previously described the effort as more of a "playlist" that will address his May car crash, his come-up, as well as his marriage to Cardi. "I'm not really talking too much about Pateks and Lambos because it's not relatable," he told Billboard. "That's almost like bubblegum rap now, how the people are accepting it. They just get two days of playing it, then it's over with. This can last and people can feel it [...] I'm really pushing my album to be a playlist and not an album, because a playlist is consistently being played for moves, exercises, and different things."